When we set our intention to be aware and mindful, it enables us to listen to what others have to say. How many times do you find yourself talking to someone and the thoughts in your head are about what you want to contribute to the conversation or about something entirely different? How well do you really listen to what someone is saying to you? Today, make your intention to listen and be mindful. 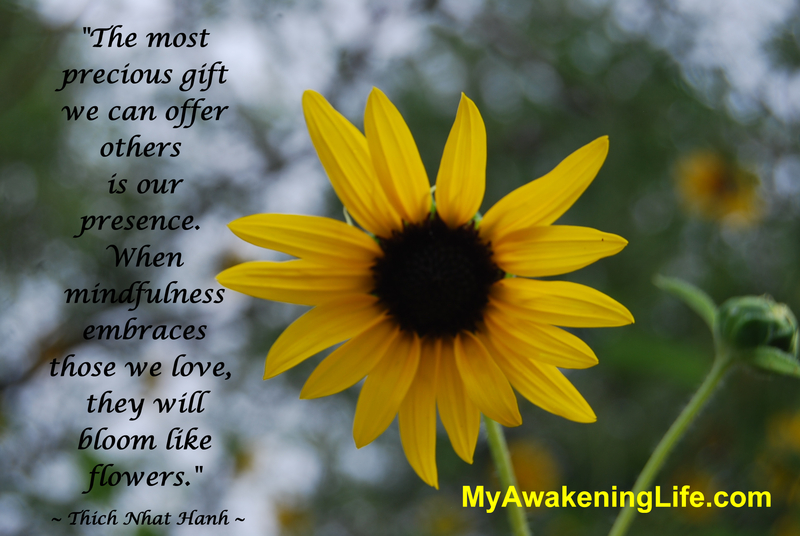 Realize the gifts in listening. And don’t forget to breath before you speak. 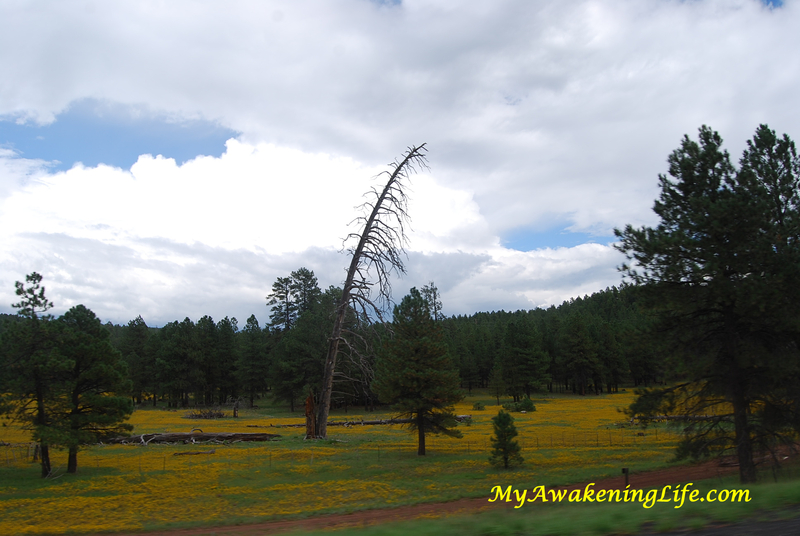 About the photos: On a recent visit to the desert, we saw these fields of yellow flowers in every direction. It almost felt like spring time. We had to stop and look at these beauties more closely. We discovered that they looked like miniature sunflowers. Don’t they just make you smile and beckon you to come and play?